Bill Gates, Co-Chair of the Bill & Melinda Gates Foundation, will deliver remarks at the African Union Summit 2019 and the first annual Africa Leadership Meeting set for Addis Ababa, Ethiopia. Speaking to an audience of Heads of State and Government, representatives of the African Union and business leaders, Gates will highlight the remarkable progress made in the fight against poor health and the urgent need to further commit to and support investment in human capital to ensure this progress is not lost. The Africa Leadership Meeting: Investing in Health will be the first platform bringing together governments, the private sector and the global development community, to coordinate and accelerate progress toward achieving Universal Health Coverage. Hosted by the African Union on February 9th ahead of its 32nd Summit, the meeting will mark the launch of a new Africa-led initiative to deliver increased, sustained and more impactful financing for health across Africa. Bill Gates will be joined by HE President Paul Kagame, President, Republic of Rwanda; Chair, African Union, H.E. Moussa Faki Mahamat, Chairperson, African Union Commission, H.E. Erna Solberg, Prime Minister, Norway, H.E. António Guterres, Secretary-General of the United Nations. During the AU Summit on February 10th, Bill Gates will deliver opening remarks, drawing on his, and the foundation’s experiences in Africa to discuss progress and challenges in reaching the development goals and making access to health services a reality for the world’s poorest. With more than half of Africa’s population lacking essential health services, investing in health is a priority for the foundation, and key to unlocking productivity and innovation and driving economic growth across the continent. 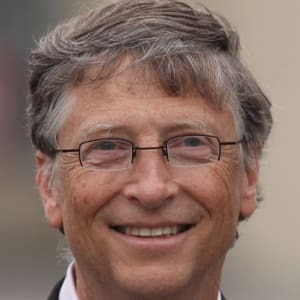 Signalling the foundation’s ongoing commitment to supporting African development, Bill Gates will be accompanied during his visit to Addis Ababa, by Cheikh Oumar Seydi who was recently appointed Africa Director at the Bill and Melinda Gates Foundation. Leading the foundation’s work across the continent, Cheikh Oumar Seydi will lead on partnering with African countries and supporting the mission of healthcare and poverty eradication.